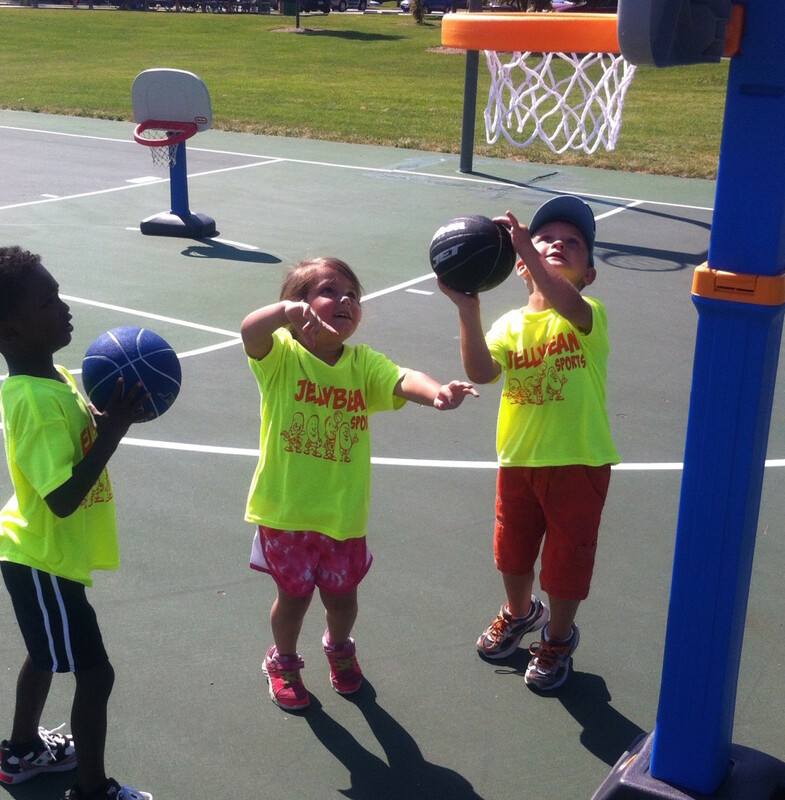 Shooting is one of the fundamental skills and core competencies children need to learn in order to play basketball. 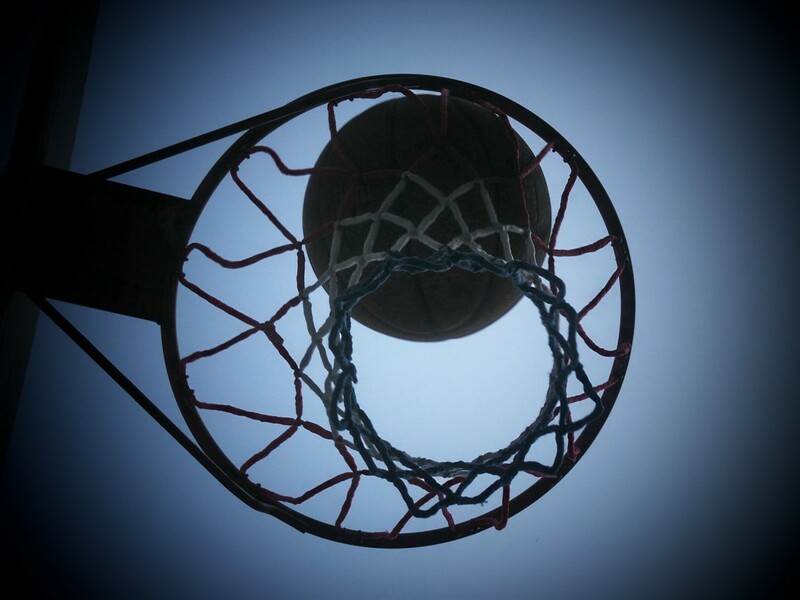 Highly complex, shooting a basketball is more than just aim and shoot. 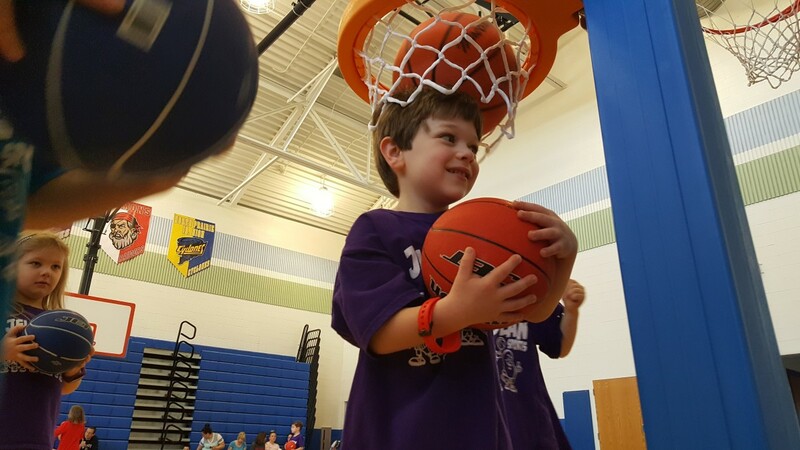 There is coordinated body movements and a mental aspect that will allow young children to eventually propel a ball through the air and into the hoop. The understanding of how the shooting process works and is most effectively taught to young children has been largely undocumented. After 10 years of working almost exclusively with early learners, children 18 months to 7 years, I am still learning how to do it better. Beyond the coordinated movements themselves, there are other variables like appropriate equipment and an approach that keeps kids interest the must be considered. Young kids lack of muscle development can create limitations you must also be aware and be prepared to overcome. Any less and your scrutiny for children's improper form can raise the degree of difficulty, frustration and increase the likelihood children will dropout. Pizza, it is one of kids favorite foods. But you ask, "What does pizza have to do with basketball?" In the U.S., we, as parents, serve pizza to our children nearly every week. In some cases more often occuring multiple times a week. Children as a result have become conditioned, accustomed to understanding this dietary regimen. Pizza is something young children know well. It is, to them, just a part of their normal everyday life. With that said, one of the challenges of early learning sports development is, as coaches, we don't know how to always deal with the very limited scope of knowledge young children possess. 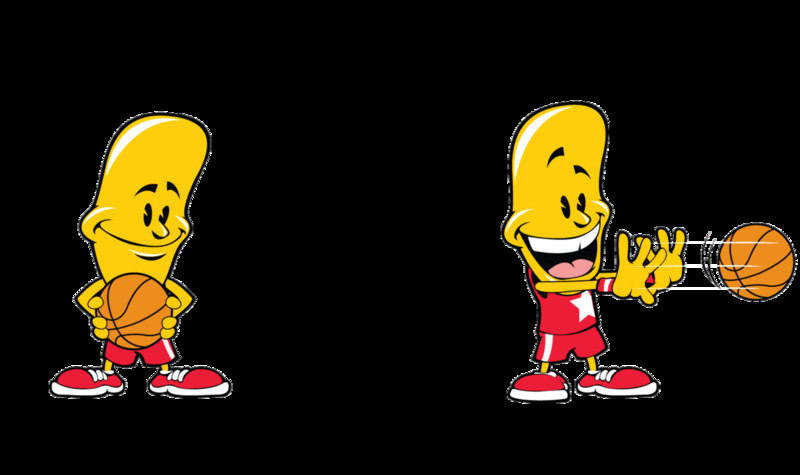 We are hired to introduce these small creatures to sports that we had to learn over time for the first time. It is a job that comes with many challenges. 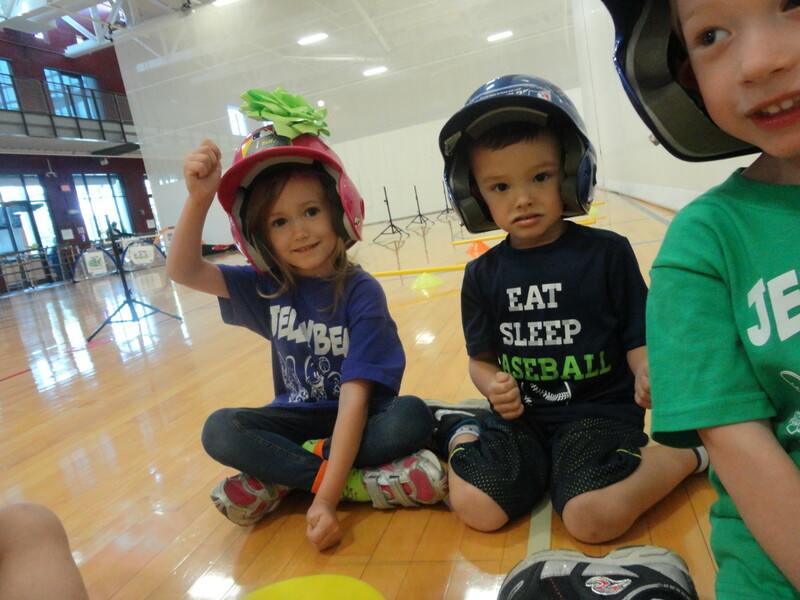 In my time in early learning sports development, I have learned that that children are much like us. We base our view of the world on our experiences. Young children are no different. So what we must do is to figure out how to extract the limited events and experiences a young child's daily life is filled with and integrate them inside our teachings. The perfect example of this comes in the form of a simple pizza. What a pizza can offer to us is a bridge between our thinking and a child's thinking. What a child understands well is pizza. What he has little understanding for is basketball. 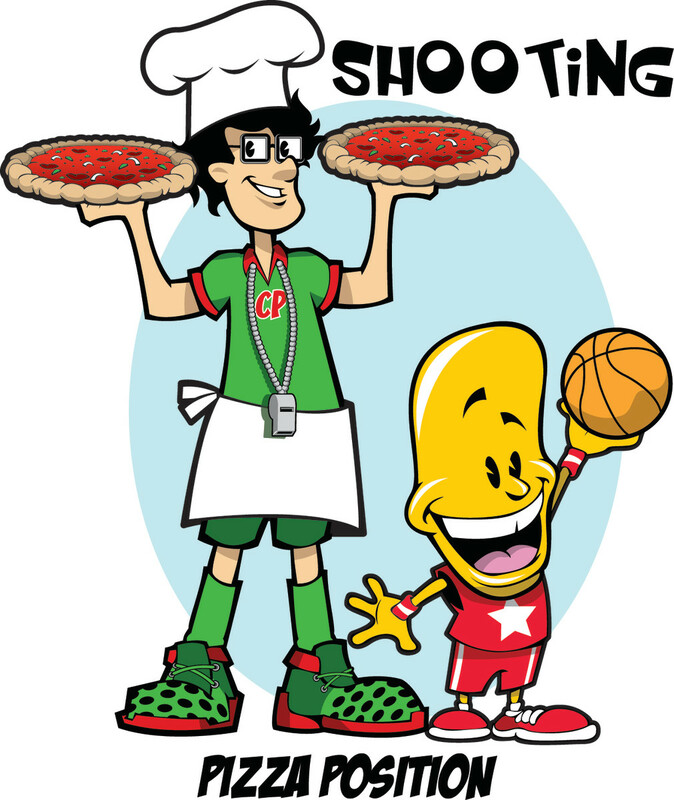 Pizza is the non-basketball example that more effectively teaches a young child how to shoot a basketball. Why pizza? Why not a french fry or a chicken nugget. It just so happened to be what I saw eating at an upscale Italian restaurant one evening a decade ago. Servers carrying large trays of food on their finger tips and on top...there were brick oven pizzas. The form, balance, and fun the servers displayed was exactly the proper form it takes to shoot a pizza and exactly an example of how young children learn best. 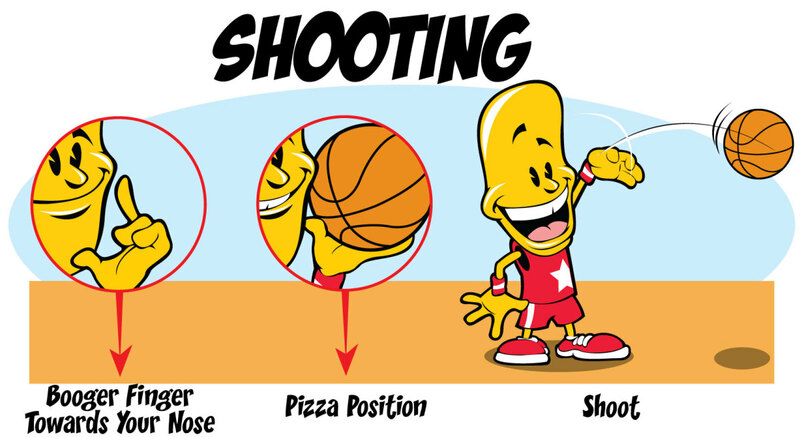 The Jelly Bean Way is to call basketball's shooting position, the Pizza Position. it seems so simple but it is just one example of how to translate sports into terms young can better understand. Without these types of modifications, teaching young children how to shoot a basketball can be tricky. In this hub, the goal is to keep sports simple and make learning fun. I set you up for coaching success as I share the Jelly Bean Way's shooting process. I will also talk about the fundamental movements to also keep in mind when teaching young children how to shoot a basketball. Secure in the knowledge that an adult is available to help if needed, a child solves problems and develops an "I can do it" attitude about herself. Keep basketball simple and make learning fun. 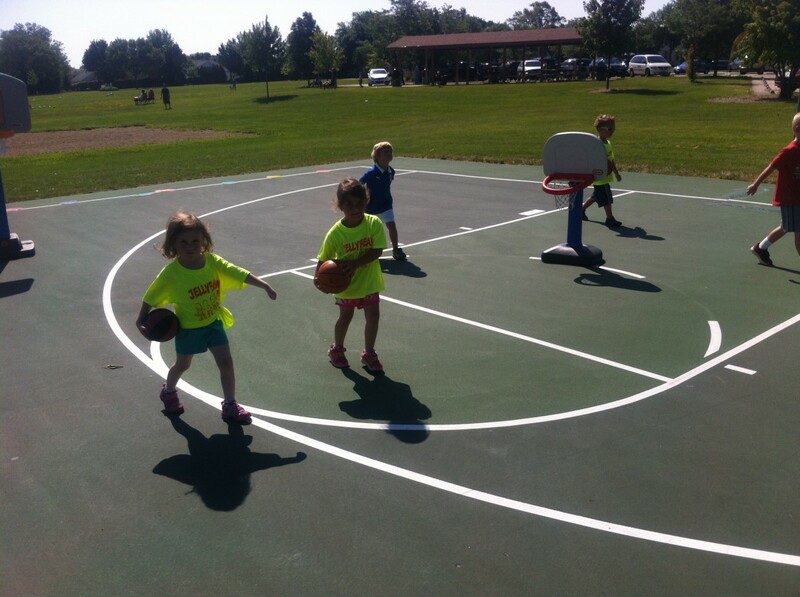 Learn an easy 3-step way to quickly and easily teach young children to pass a basketball. 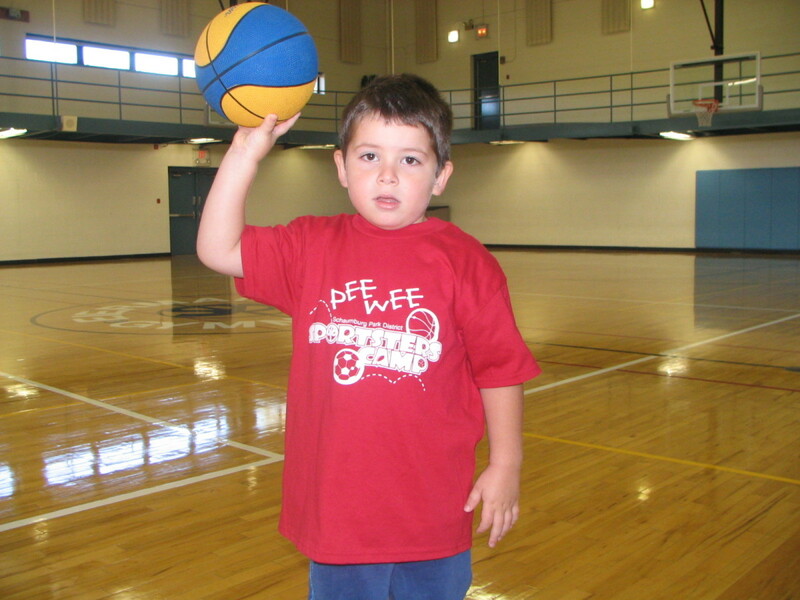 Does your child shoot like he is passing? I invite you to try the Jelly Bean Way with your early learners. It offers a fun 3-step teaching approach that even includes a fun video aid that you can share with them that is often a difference maker that will help young children seed the learning. As a matter of warm-up and timeout for a period of decompression from learning, I will usually let the children shoot for one minute increments several times throughout a class. Shooting for one minute increments gives me time to interact with kids on a one-on-one basis. I get to know who they are. For some kids it is just about getting them to open up and seeing me as someone they don't need to be afraid of. For other children, it can be a time when they tell me a little about themselves and we interact on topics that have nothing to do with basketball or what we are working on. Still others, this is a time to be silly, goof around a little bit and show them that I can be like a kid to. While not an assessment in the truest sense of the word, it is, when working with young children, a way to get to better know my audience. Young children love to shoot and by allowing them to do more of what they love to do, they allow me to do more of what I love to do and that is teach them in simple and fun ways. Line children up on a line. They can start with a basketball but tell children to squeeze the basketball between their feet. Next, ask the simple question, "What are some of your favorite foods?" Spend two minutes fielding answers. This is a simple question everyone knows the answer to; always be sure, however to get everyone's input; it is the first step to achieving buy-in to both you and your coaching. This question and conversation, as a whole, is less about you and more about the children. You, in this case, are just facilitating and the children are actively contributing to the learning process. At some point pizza is said. The next step is to ask, "Who said pizza?" Instead of rushing into the instruction you strive for further buy-in by asking children, "What comes on top of a pizza?" They might simply answer, "Toppings," and if they do then ask, "What is your favorite topping?" Again more opportunity for children to critically think about who they are and what they like. Early learning in sport requires coaches be more kid-centric than sport-centric. Young children like what they like and if they are going to like playing sports it is going to be because they, personally, connect with it not because of the breadth of sports knowledge we possess as coaches. In the end, it is not about impressing parents of early learners with how much we know about sports or our wide ranging sports experiences. They most care about how well you, as an adult, connect with their child. Asking your next two questions will lead you into the instruction, "Who has eaten pizza in a restaurant before?" Ask, "How do servers in the restaurant hold the pizza when they bring it to your table?" Amazingly, most of the class will show you some variation of holding a tray. This, conveniently, is known, from this point forward, as the Pizza Position. Of course, it is otherwise, called the shooting position, but REMEMBER to really teach young children you have to build a connection between their limited knowledge of the world and the new knowledge they need to learn. As you demonstrate a bent elbow and cocked wrist, explain, "This is our pizza position. It is the same way as severs in the restaurant carry the pizza from the kitchen to your table." Before starting with a basketball, start by carrying a dot or something else lightweight (i.e. a piece of paper). 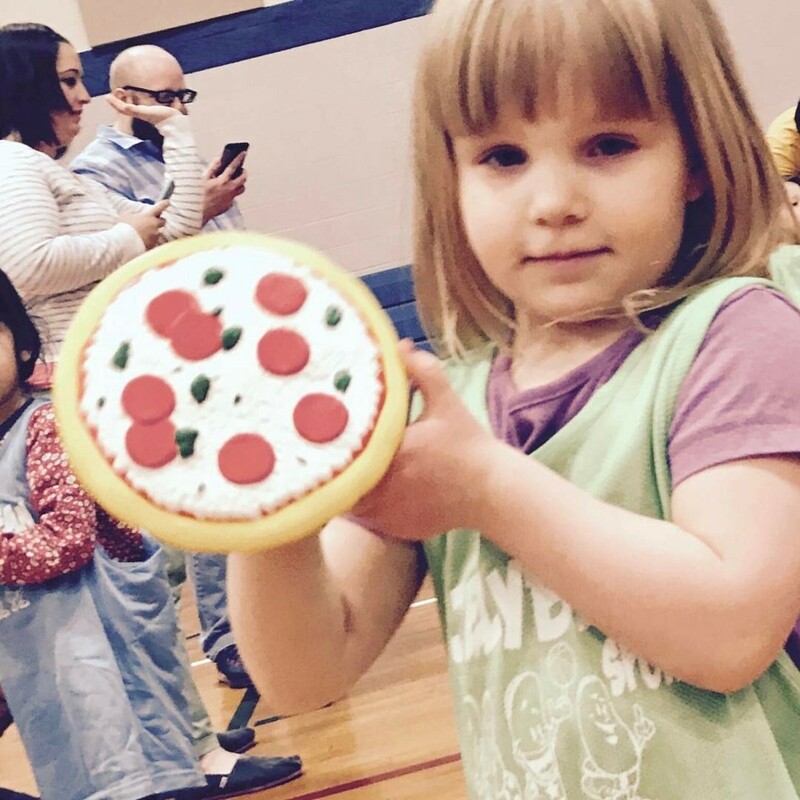 It will represent a pizza and allow for children to balance and practice shooting with good form prior to using a mini-basketball. 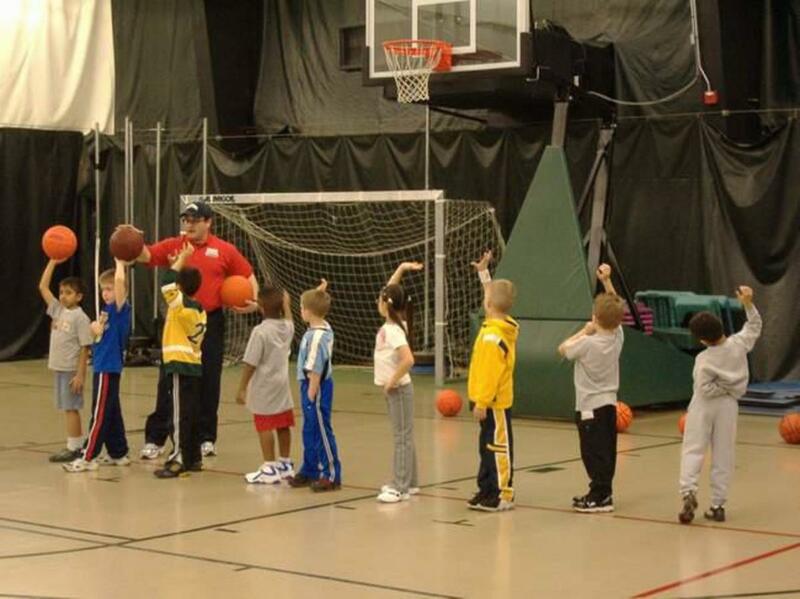 Finish by using a basketball but understand that they are cumbersome in young children's hands. The younger the child the more difficult it will be for them to manage. Hence, it is the reason why so much time is spent with fun basketball alternatives like foam pizzas. "I typically promote a hands-off approach to coaching. However, sometimes young children struggle to get their hand positioning right. This means their elbow is 90 degrees, palm up and fingers aimed backwards. It is the last part, palm up and fingers aimed backwards that young children struggle with. It is awkward and feels unnatural to them. At this point, it is necessary to help them simply rotate their hand around so their fingers are aimed at their nose." Hold up your index finger and ask parents and children, "What is this?" As children will tell you, it is a pointer finger or the number one. Parents will tell you it is the index finger. You should kindly agree with all of them and tell them they are right, but say, "It is something else too, what is it?" When you've exhausted their resolve, Ask, "Isn't it your booger finger too?" This will inevitably evoke a smile. Here and again you are building instruction by talking on a child's level and engaging them in ways they understand and that will help maintain their focus longer. Ask them to put their pizza tray up and make sure that their booger finger is pointing towards their nose. You might say, "Towards your nose, not in your nose." 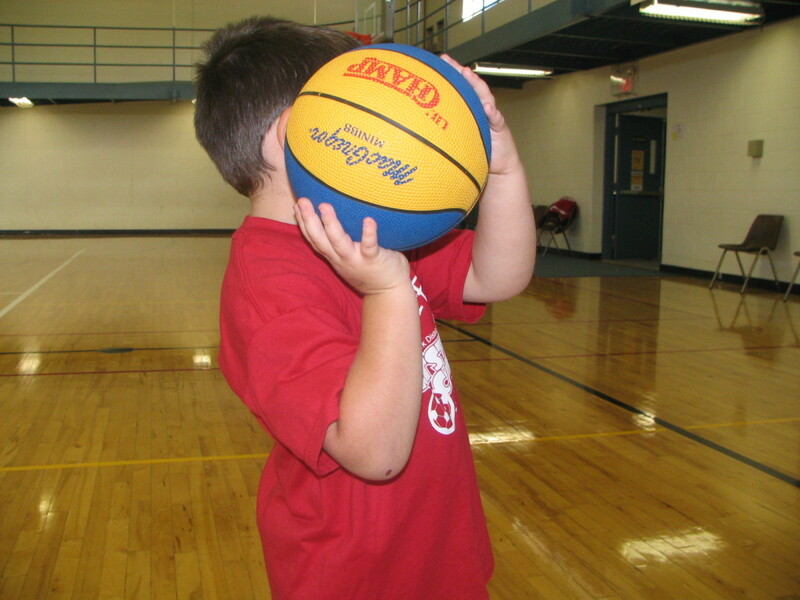 Most kids get how to hold a tray but fifty percent of the time the fingers on their shooting hand are usually pointing the wrong direction. I typically promote a hands-off approach to coaching. However, identifying the booger finger is awkward for some young children. They sometimes struggle to get their hand right and it is necessary for us to simply rotate their hand around. one time when another hands-off approach you can use to correct them as they get tired and their form slips. Essentially, what this instruction is promoting is self-directed learning. 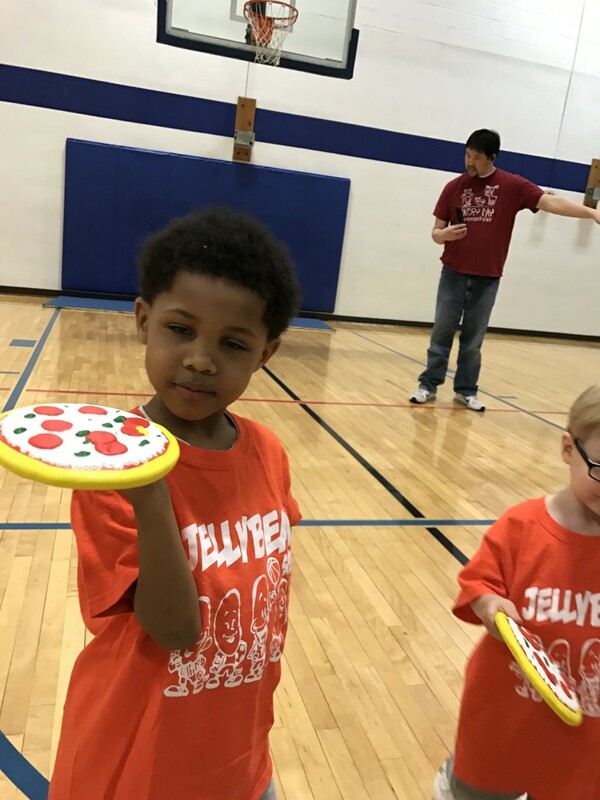 As they raise their pizza tray and point their booger finger at their nose, this is when you can tell them you are going to give them their pizza next. Walk behind them and ask them individually, "What is your favorite pizza?" Kids, at this point, are anxious to get their pizza (a.k.a. the basketball). Before they get their pizza, they must tell you the type of pizza they like (i.e. cheese, mushroom, etc.) and the magic word, "Please!" You will say, "What kind of pizza for you?" They will say for example, "Cheeeese Pleeeze!" 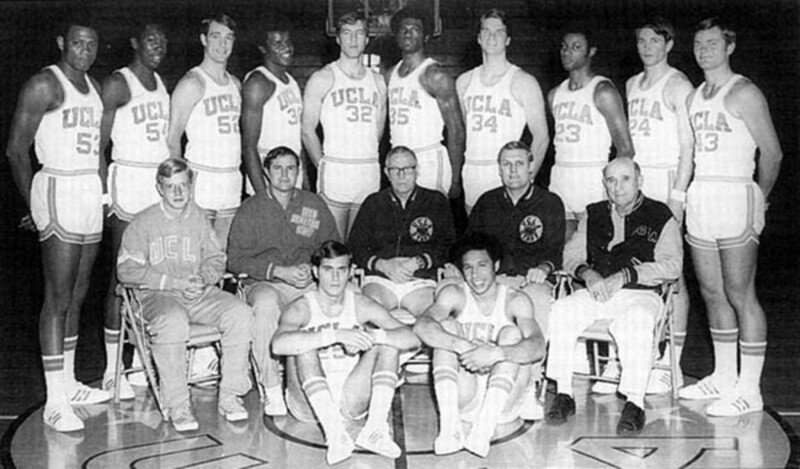 As you will remember the basketball, at this point, is still between their feet. Pick it up and place it on their tray. When everyone has their pizza go back around the front of them and check their pizza position and booger finger and commence shooting the basketball in a small hoop. At the end of the exercise, it is about you, the parents and the children enjoying the process of teaching young children how to shoot a basketball. Use a hands off approach to teaching. Inspire children with positive feedback that builds confidence, improves listening, and promotes emotional maturity. 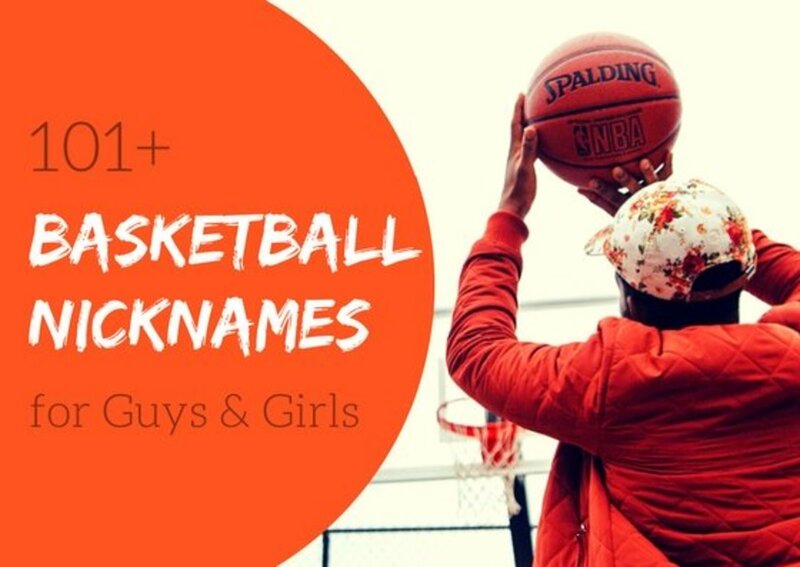 Iam not mom of 3 boys and i wanted to play basketball with my kids could you please add some more photos of how to play basketball frankly i never play basketball myself but i want to give it a try base . thanks! Very interesting approach... I'm looking for something that will help the age group 9-11. Those kids that aren't strong enough to use correct form either need a shorter rim or some other way to learn correctly until they grow. I am glad you liked it. I use this instruction often and it never seems to amaze me how effective it is at capturing young children's attention and at helping them reach peak potential. Thanks for your comment, it was very nice of you. What a great way to teach kids so that they understand!! !